Sports medicine injury treatment of a foot injury, ankle injury (often an ankle sprain), heel injury or toe injury is a big part of friendly, our award-winning podiatry practice (we have been honored with earning “Best Podiatrist” from the Post-Tribune and “Best of the Region” from the NWI Times nine times!). Our foot and ankle doctors (podiatrists) at our Northwest Indiana podiatrist office know the value of regular exercise and competitive sports and athletics. BTW, read patient reviews by clicking here. Incidentally, Dr. Nirenberg or “Dr. Mike” as patients call him, has helped law enforcement, including the FBI, on homicide cases involving foot-related evidence (such as footprints) and gait analysis. 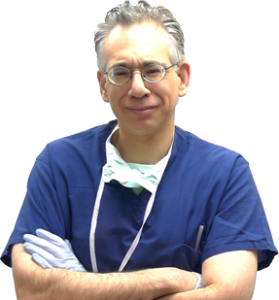 His foot and ankle expertise has been sought by numerous media, including USA Today, the Wall Street Journal, WBBM radio and FOX News (click here to read more news). Dr. Nirenberg or “Dr. Mike” as patients call him, our premier foot and ankle doctor, loves treating sports medicine injury of the heel, foot or ankle in athletes. Foot and ankle injury problems our podiatrists (foot and ankle doctors) provide treatment for ranges from people with a running injury to children with an ankle sprain to the proverbial “weekend warrior” who needs treatment for a foot or ankle injury, sprain or foot or ankle pain. Dr. Nirenberg exercises on a regular basis and knows first-hand how important it is to keep people’s foot and ankles healthy — so you can keep moving! Whether you are just walking the dog, jogging or running on the treadmill or performing in a competitive sport, such as baseball, basketball, soccer, gymnastics, track, tennis or football or simply walking or hiking, our foot and ankle doctors know how vital exercise is to you and your overall health. Dr. Nirenberg and our entire Northwest Indiana podiatrist practice (foot and ankle doctor practice) strives to give you the very best sports medicine treatment (heel, foot or ankle treatment) to resolve your sports medicine foot or ankle injury (or foot or ankle sprain or ankle fracture) as fast as possible–and keep you on your feet. At Friendly Foot Care, our podiatric physicians (foot and ankle doctors) provide treatment of sports medicine problems of the heel, foot and ankle in athletes of all ages, from children to seniors. Women’s Adventure Magazine, the Canadian Medical Association Journal and Martha Stewart’s Whole Living Magazine have sought Dr. Nirenberg’s sports medicine expertise. Many of our sports medicine foot and ankle pain or foot and ankle injury patients are competitive athletes, while others are simply people who want to walk, jog or run for good health. So if you are pro-athlete with an ankle sprain or weekend warrior, our foot and ankle doctors can provide expert treatment for your sports medicine ankle injury or sports foot injury or other foot or ankle problem. Each foot and ankle doctor in our podiatry practice know show a painful ankle sprain or twisted ankle or other ankle injury (or foot injury) can lay you up and they will work to get you back to your favorite sport quickly. Our podiatrist office (foot and ankle doctor office) will use a variety of treatment options to provide treatment for your foot or ankle injury or foot or ankle pain, including custom foot orthotics, braces, injections, medication, surgery and physical therapy. Our podiatrist office (foot and ankle doctor office) offers treatment for people with a sports foot and ankle injury (including ankle sprain) from all of Northwest Indiana (Lake County or Porter County). If you are looking for a foot or ankle doctor or podiatrist in Valparaiso, or podiatrist in Gary, Merrillville, podiatrist in Schererville, podiatrist in Dyer, Winfield, podiatrist in St. John, podiatrist in Highland, Portage, Chesterton, podiatrist in Cedar Lake, podiatrist in Griffith, Lowell, Wheatfield, Hobart, podiatrist in Hammond, Munster, Lafayette, Michigan City, East Chicago and Valparaiso, or even Chicago, call us today at (219)663-2273! Our podiatrists (foot and ankle doctors) use state-of-the-art sports medicine injury treatment technology to provide treatment (or surgery) for heel pain, foot pain of foot injury, or ankle pain or ankle injury and many foot and ankle problems, and to help keep your entire lower extremity well-aligned and functioning at its very best. Besides using diagnostic ultrasound and real-time fluoroscopy to evaluate sports medicine foot and ankle injuries and provide treatment of foot and ankle injuries, including an ankle sprain or fracture, each podiatrist — foot and ankle doctor — may use Dartfish gait analysis video software. “Gait” refers in most basic terms to how we move, which is often running or walking. Dartfish gait analysis software was developed in Switzerland and has won numerous awards, including the Tabby Award winner in Sport and Fitness, and numerous medal-winning Olympic athletes use it. Our award winning Indiana licensed Northwest Indiana podiatrist — foot and ankle doctor — practice treats sports medicine injury of the heel, toe, foot and ankle for Northwest Indiana with an emphasis on providing thorough, safe foot care and educating you about your foot injury or ankle injury or pain. We provide sports medicine treatment for people from Highland, Merrillville, Schererville, Valparaiso, Hobart, Lafayette, Kouts, Dyer, Portage, Gary, Dyer, Winfield, Cedar Lake, Griffith, Lowell, St. John, DeMotte, Hammond, and Chesterton. If you have a sports injury or sports-related foot or ankle problem, call us today at (219)663-2273! Should you have any questions about our podiatrist office or your treatment options or the wide range of toe, heel, foot or ankle problems our podiatrist office treats, do not hesitate to ask us! Feel free to email us your questions at info@friendlyfootcare.com. If have insurance concerns or need to arrange a cash payment plan for your podiatrist treatment, please discuss your concerns with our insurance department. The impact of basketball injury on our feet and ankles after a great jump shot is substantial and as a result, foot and ankle sprain and other injury during basketball is common and these foot and ankle injury issues can be severe. Our podiatrists — foot and ankle doctors –know the importance of proper sports medicine treatment of a basketball foot injury and proper treatment of a basketball ankle injury to prevent long term complications, such as a lifetime of pain or foot and ankle weakness or ankle instability. Basketball injury of the foot or basketball injury of the ankle can range from a simple sore toenail to a torn Achilles tendon or ligament, an ankle sprain or twisted ankle, or even a fracture of the ankle or foot (or in some cases, both!). 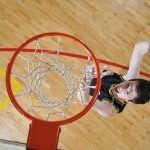 Other common basketball injuries our podiatrist office provides treatment for includes Achilles tendonitis, plantar fasciitis, stress fractures, and an ankle sprain or ankle pain. Our foot and ankle doctors (podiatrists) provide treatment for basketball foot injury and ankle injury, ankle pain, including ankle sprain treatment and tendon injury treatment. Some foot and ankle injuries associated with basketball surgery may be needed and our foot and ankle doctors (podiatrists) will discuss the treatment options, including custom made orthotics and foot and ankle surgery, when appropriate with you. Gymnasts appear to move gracefully, even effortlessly, but the reality is that gymnastics can strain and injure our feet and ankles. Our podiatrists know how important gymnastics is to those people involved in the sport and they strive to get gymnasts back on their feet as quickly as possible. Gymnastic foot injury and gymnastic ankle injury can be serious. The gymnastic injury can sprain or fracture the foot or ankle or even a toe fracture. Our foot and ankle doctors treatment may involve taping, casting, orthotics, injection or toe, foot or ankle surgery. The most common gymnastic injury our podiatrists provide treatment for includes a sprained ankle, foot injury, tendon tear and fracture. Ankle sprains in gymnasts can be minor or severe. In a severe ankle sprain the ankle ligaments can stretch or even tear, and if these are not properly treated, gymnasts can be at risk for a lifetime of pain and weakness and instability (repeated ankle sprains). Ankle sprain treatment is an important part of the treatment our podiatrist office provides people in Northwest Indiana. Flatfeet can be a contributor to gymnastics and other sports injuries. If you or your child suffers with flatfeet, Dr. Nirenberg is trained in the HyProCure surgery procedure to improve the arch in a flatfoot. Read more about the HyProCure by clicking here. Other gymnastic injuries our doctors see include ankle weakness, ankle pain, pulled tendons and even tendon tears, sesamoid bone injury (sesmoiditis), plantar fasciitis (heel pain), neuromas, painful bunions and a foot fracture or ankle fracture. Some treatment options for foot and ankle gymnast problems are treated with injections, orthotics, braces, surgery or other treatment options. Baseball may look tame but our foot and ankle doctors (podiatrists) have seen bones broken from the impact with the ball. 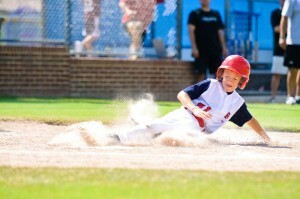 Players feet and ankles are subjected to sprinting, twisting and sliding. The upshot is that baseball players often injure their feet or ankles, and they are particularly prone to an ankle sprain, ankle fracture or ankle injury. Baseball foot and ankle injury treatment by our foot and ankle doctors can involve minor treatment, such as splinting or a cast or may require foot or ankle surgery. 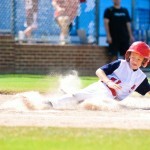 Our baseball injury patients range from children to adults. Baseball foot or ankle injury can cause a foot to fracture or an ankle to torque causing an ankle sprain (twisted ankle), ankle fracture or baseball injury of a tendon of the foot or ankle. The baseball injuries that our podiatrists (foot and ankle doctors) provide treatment for in our Northwest Indiana office includes treatment of an ankle sprain, foot or ankle fracture, toe fracture, ligament tears, ankle weakness, tendon tears and high impact contusions to the foot and ankle. Our podiatry team will use a variety of options to treat your foot or ankle injury, including braces, physical therapy, custom-made foot orthotics, injections and when necessary, foot surgery or ankle surgery. Nothing is better than executing the perfect spike in volleyball, at least until you land. That is when your feet and ankles endure the brunt of the impact. When a volleyball player’s feet are not landing after a jump, side-to-side movement can stress them (much like tennis players put side to side stress on their foot or ankle). Foot and ankle injury, especially an ankle sprain, is common in volleyball players. Worse, an ankle ligament can rupture and an ankle tendon can tear or you can have a tendon rupture. Volleyball injury of the foot or ankle should be treated promptly and you should promptly seek treatment for ankle sprains and other volleyball foot and ankle injuries by our podiatrist office. If you have a volleyball foot injury or volleyball ankle injury and need foot or ankle treatment, call us today and we work to schedule you for treatment of the volleyball injury with one of podiatrists. 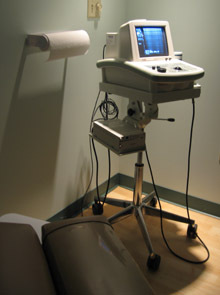 Our podiatrists often use our in-office diagnostic ultrasound technology to check for an injury to ligaments or tendons. When an ankle ligament is injured sometimes our podiatrist will treat the ankle with physical therapy, bracing, orthotics or surgery. If these problems are not correctly treated, the foot and ankle can remain sore and weak for years. Treatment options for an ankle sprain or foot injury include custom-made foot orthotics, injections, physical therapy, specialized bracing and braces and foot surgery or ankle surgery measures. Children athletes or a child who is injured during sports has separate issues sometimes from an adult and a child with an injury should be treated promptly. Our entire podiatry foot and ankle team is here to give you our very best! Runners are at high risk for a toe, foot or ankle injury. Dr. Nirenberg is an avid runner and participates in barefoot and minimalist running (and has even penned a chapter on the subject!). Running injury of the heel, foot and ankle is common. Our podiatrist office physicians — foot and ankle doctors — provide treatment of running injury of the toe, heel, foot and ankle routinely. Our foot and ankle doctors (podiatrists) know how important it is to solve and provide treatment of a running foot or ankle problem so the athlete can get back to doing what they love – running. Our podiatrists (foot and ankle doctors) provide treatment for a host of runners, from young children to teenagers to adults who run marathons. The range of runners our podiatrist office (foot and ankle doctor office) provides treatment for ranges from long distance runners to sprinters to weekend joggers or even those people who run or walk on a treadmill. The repetitive nature of running (or even walking) can cause many different problems for runners (and walkers), including heel injury and heel pain (plantar fasciitis), or even a running-related foot fractures or heel fracture (or a stress fractures). An ankle sprain is a common painful ankle problem our foot and ankle doctors commonly see in our Northwest Indiana office. Treatment of an ankle sprain by our doctors (podiatrists) can range from taping or casting to immobilization in a brace or improved biomechanics with custom made orthotics to surgery. Running takes a toll on the tendons in the foot and ankle and running can cause severe tendonitis or a running injury can tear a tendon (rupture a tendon). Other running problems include bursitis (particularly painful bursitis of the heel), running nerve problems (such as a neuroma or tarsal tunnel syndrome), Achilles tendon pain or an Achilles tendon tear or a serious running injury, such as an ankle sprain or foot fracture or even simple issues such as heel pain, a heel spur or plantar fasciitis; or even a painful ingrown toe nail.Treatment for these (and other foot and ankle pain and problems) is common in our Northwest Indiana foot and ankle doctor (podiatrist) office. Runners can easily take a wrong step and end up with an ankle sprain or twisted ankle, or a foot injury, including a foot or ankle fracture (broken bone), strained ankle or ligament, or torn tendon. 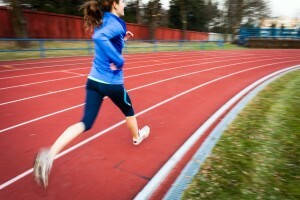 Running injury can occur nowadays just about anywhere – both indoors and outdoors. Our podiatrist office offers treatment for treadmill running injury of the foot or ankle, or treadmill walking injury of the foot or ankle, and we have seen elliptical injury to the foot and ankle as well. Running can aggravate a bunion and cause bunion pain as well and you may need treatment for a painful bunion. If you are a diabetic and a runner, it is important to watch your feet for a diabetic foot problem or a diabetic foot infection. A simple blister in a person with diabetes can become serious very quickly. Persons with diabetes are prone to develop neuropathy and neuropathy in the feet is nerve problem that we may be able to help alleviate for you. Some minor foot or ankle problems are often treated in the office. In these cases, we autoclave surgical instruments and employ high standards of safety for our patients and pride ourselves on educating patients about their foot or ankle injury or problem. We also try to get you in quickly when you have an urgent foot or ankle problem. If you are interested in being a new patient you can make an appointment by clicking here or calling (219)663-2273 (our new patient forms are here). You can read patient reviews here. Most runners who have a running foot or ankle injury or running pain dread the thought of not being able to run because of a foot or ankle injury. The podiatrists at our Northwest Indiana practice strive to keep runners running, while alleviating their foot or ankle problem, or at a minimum, getting the patient running as soon as possible. If you have a running injury of the foot or ankle, do not run through it hoping it will subside (which it often does not), make an appointment for treatment with one of our podiatrists. Barefoot running is common nowadays, and Dr. Nirenberg has long worn minimalist shoes when running and usually wears a minimalist, zero drop heel shoe in the office (Vibram). Barefoot running and barefoot runners who need treatment of a barefoot running injury (barefoot running injury treatment) will find Dr. Nirenberg very knowledgeable about the benefits of barefoot running (and the risks). Barefoot running is not for everyone, though there is scientific evidence as to the benefits of barefoot running and walking — he is truly a barefoot friendly podiatrist! Dancing may not be considered a sport but dance can be just a grueling as many other sports. Dance injury of the foot or dance injury of the ankle can be minor or serious. Our foot and ankle doctors (podiatrists) treat a range of dance problems, from an ankle sprain to tendon tears to a toe fracture. Treatment of dance foot and ankle injury is common by our podiatrists (foot and ankle doctors) at our Northwest Indiana office and may involve custom made arch supports (foot orthotics), physical therapy, casting, injections or foot or ankle surgery. Dancers often subject their body, and particularly their feet, to severe stress. Common problems our podiatrists treat with dancers includes dance injury of the toenail (including an ingrown toenail), a nerve entrapment, shin splints, tendonitis and heel pain (plantar fasciitis). For flatfeet in dancers or other sports enthusiasts, the HyProCure may be a good option to restore an improved arch in the foot. Dr. Nirenberg is trained in the HyProCure procedure, a relatively small surgery that can lessen strain and pain in person’s with a low arch or a flatfoot. The HyProCure can be done for adults or children. Some dancers end up with a twisted ankle or ankle sprain, or even a torn tendon or fracture! If you love to dance you do not have to pay the piper – just visit our Northwest Indiana podiatrist office so our podiatrist can provide treatment of your dance-related foot injury or dance-related ankle injury or ankle sprain – before the problem becomes worse! The severe intensity of football puts the feet and ankles at risk for a large number of injuries. A football player’s ankle may be twisted or torqued excessively during a football game, or another football player may even step on your toe, foot or ankle. The result may be a football-related injury that tears a ligament or causes a tendon tear or foot or ankle fracture. Our podiatrist office physicians (foot and ankle doctors) commonly provide treatment of your foot or ankle injury related to football (or other sports) in our Northwest Indiana office. Treatment by our foot and ankle doctors often includes addressing such problems as an ankle sprain (or twisted ankle), foot fracture, torn tendon, ligament injury, ankle weakness or ankle’s that give out. 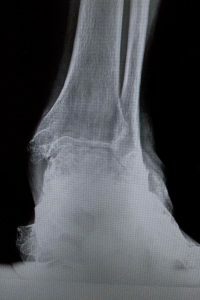 Some football injuries are overlooked, such as a subtle fracture of the foot called a Lis Franc fracture. 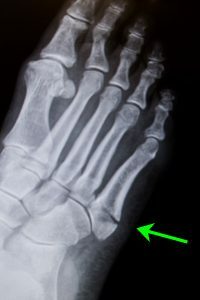 A Lis Franc fracture can occur during football or other sports and is often overlooked. If you have pain following a football injury, see us promptly for treatment to make sure you do not have a serious football injury of your foot or ankle. Our Northwest Indiana podiatrists (foot and ankle doctors) often use a combination of x-rays and diagnostic ultrasound to diagnose football injuries of the heel, foot and ankle. In severe foot and ankle injury cases, our foot and ankle doctors may also examine the foot or ankle in our office using real-time fluoroscopy or send you for an MRI or CT scan of the foot or ankle. MRI is used to see the soft tissues in the foot or ankle, such as identifying and diagnosing ankle or foot tendon tears or an ankle ligament injury or ligament tear. 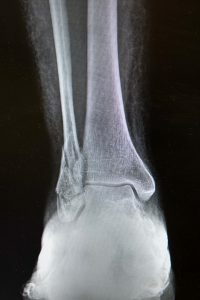 A CT scan focuses on looking at the bones of the foot or ankle, such as identifying a foot fracture or bone cysts or area of decreased circulation to the bones ( for example, Friberg’s infarction). To become a new patient you can make an appointment by clicking here or call (219)663-2273 (our new patient forms are available online here). You can see patient reviews here. Most injuries to the foot or ankle during soccer are the result of trauma; instead of kicking the ball, a player kicks someone’s foot. The common problems are podiatrists see include sprains, ligament tears, tendon tears, and fractures. Soccer foot injury treatment and soccer ankle injury treatment by our podiatrists is common. Our podiatrist office’s foot and ankle doctors provide expert treatment for soccer players who have an ankle sprain (twisted ankle), tendon tear, weak ankle (ankle weakness), heel pain, plantar fasciitis, foot pain, ankle pain or a fracture. Soccer requires a lot of intense running and kicking and often crowding around the ball can cause another soccer player to kick your toe, foot or ankle or soccer can cause you to twist your foot or sprain your ankle. The result of this intense soccer activity can be a fracture of the foot or ankle or tendon tear or ligament tear of the foot ankle. If you have a soccer foot or ankle injury and require treatment, do not let the injury go — call us today! Athletes who have a severe ankle sprain may tear the ankle ligaments and may end up having a weak ankle, ankle instability, ankle pain, or difficulty walking. Ankle sprain treatment and ankle injury treatment (including ankle fracture treatment) should occur immediately after an ankle sprain or ankle injury to alleviate ankle pain and reduce long-term ankle problems. Our foot and ankle doctors know how important it is to fully evaluate and properly provide treatment of an ankle sprain, twisted ankle or other ankle injury or ankle pain. Ankle sprain treatment and ankle pain treatment is commonly provided by our foot and ankle doctors (podiatrists) and whether you need your ankle simply immobilized or need ankle surgery our doctors are here to help you. Ankle sprain and ankle injury treatment and analysis is performed by our foot and ankle doctors in our office with a variety of technology, including digital x-rays (less radiation and better visualization) and diagnostic ultrasound (to identify ligament injury and tendon tears). Our ankle doctors may also have your ankle examined with an MRI or CT Scan. Besides our doctors treating a foot or ankle injury, our office treats most other foot and ankle problems including gout or a gout attack, ingrown toe nails, infections, heel pain and so on. 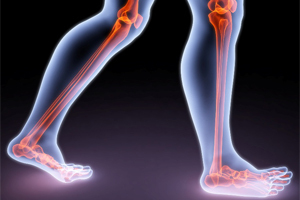 Dr. Nirenberg also offers forensic assistance in criminal matters and forensic gait issues. If you believe you may need a podiatrist or foot doctor, call us today! If you need a podiatrist in Schererville, podiatrist in Munster, in Merrillville, or a podiatrist in Dyer, podiatrist in Valparaiso, or podiatrist in East Chicago, or La Porte or a podiatrist in Gary, or a podiatrist in Highland, or a podiatrist in Cedar Lake, or a podiatrist in St. John, foot doctor or podiatrist in Hobart, or a podiatrist in Hammond, or a podiatrist in Griffith, we are convenient and worth the drive! (Click Here for directions to our podiatrist office). Repeated ankle sprains may be sign you have a torn ankle ligament and need proper treatment for the ankle. Torn ankle ligaments can cause your ankle to become weak (ankle weakness) or cause your ankle to “give out” when you walk or run. Podiatrists refer to ankle weakness or weak ankles as ankle instability as the ankle is unsteady or unstable. Ankle weakness treatment or ankle instability treatment is provided at our Northwest Indiana podiatrist office. Our ankle is important as we grow older to keep us walking (and running) safely and a stable, strong ankle is essential. Weak ankles or repeat ankle sprains are a sign you may have a torn ankle ligament or rupture ankle ligament. The torn ankle ligament may cause pain (or may not) and more important, a torn ankle ligament or injured ankle ligament can cause ankle weakness or ankle instability, and put you at risk for falling, sustaining an ankle fracture or losing your balance. If you have ankle weakness or continue to sprain your ankle, it is important to see one our podiatrist sports medicine experts sooner than later. To make an appointment please call us at (219)663-2273 or make an online appointment with our podiatrist office by clicking here. Often knee, hip, ankle, foot and even back pain relates to the way our feet are functioning. After all, our feet serve as our foundation and they when they are misaligned our whole body can be affected. By improving the biomechanics of our feet, problems throughout our body may improve—this is especially true for athletes who have knee pain. We also use special wraps and braces and custom made foot orthotics to keep get our patients well faster and keep them moving. When surgery is needed, our podiatrists often use arthroscopic cameras to solve the problem through tiny incisions on an “out-patient” basis or other minimal incision techniques. The bottom line is we do everything we can to get our athletes “back in the game” as quickly as possible. Our foot and ankle podiatry practice treats sports medicine injury of the heel, foot and ankle for people throughout Indiana and Northwest Indiana, including Merrillville, Schererville, Valparaiso, Hobart, Lafayette, Kouts, Dyer, Portage, Gary, Dyer, Highland, St. John, Cedar Lake, Griffith, La Porte, Lowell, Wheatfield, DeMotte, Rensselaer, Hammond, Munster and Chesterton. If you have a foot or ankle injury or other sports problem, call for an appointment today at (219)663-2273! If you need a podiatrist (foot and ankle doctor), feel free to read through our website, read our story, read our podiatrist reviews, see our news articles, view our photos, read about Dr. Nirenberg’s forensic expertise (and forensic gait analysis) and learn about our commitment to your safety, education, answering your questions, addressing foot or ankle surgery, making you custom made orthotics (arch supports) and many foot and ankle problems our doctors help alleviate. If you have an urgent foot or ankle problem or urgent foot or ankle injury, be sure to see us or another foot and ankle doctor immediately. Whether you have a sports medicine foot and ankle injury or diabetic foot infection or even a gout attack, your treatment is important to us and our Northwest Indiana foot and ankle doctors and our entire foot and ankle team are here to help you! If you have a sports medicine injury of the heel, foot or ankle, please give us a call at 219-663-2273 or make an appointment with our podiatrist online today by clicking here. To learn our office hours click here or to learn about your first, new patient visit click here. To contact us click here or fill out our survey. For athletes who are currently seeing another doctor and want a second opinion podiatrist evaluation, please call us at (219)663-2273.